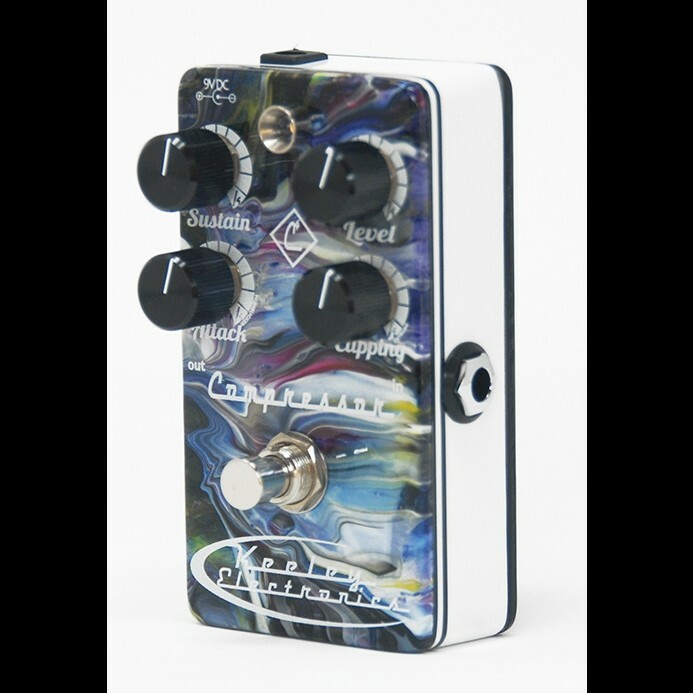 Exactly the same as the superb handmade compressor, only with a gorgeous custom finish! These finishes are all completely unique and will vary. They are all 100% different, so we can't make guarantees about the finish, just tell us your favorite color and we'll do the best we can. 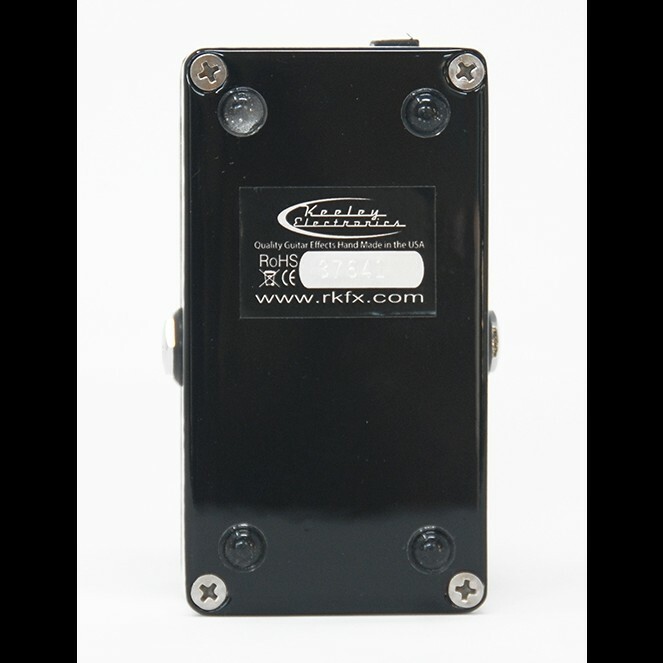 The Keeley Compressor is the award-winning industry standard for stomp box compression. The 4 Knob adds Input Clipping and Attack controls to the top of the original Keeley compressor for easy adjustment. Perfect for those that often switch live between single coils and humbuckers. The sound alone will inspire your creativity. All of our Compressors are hand built in the USA. 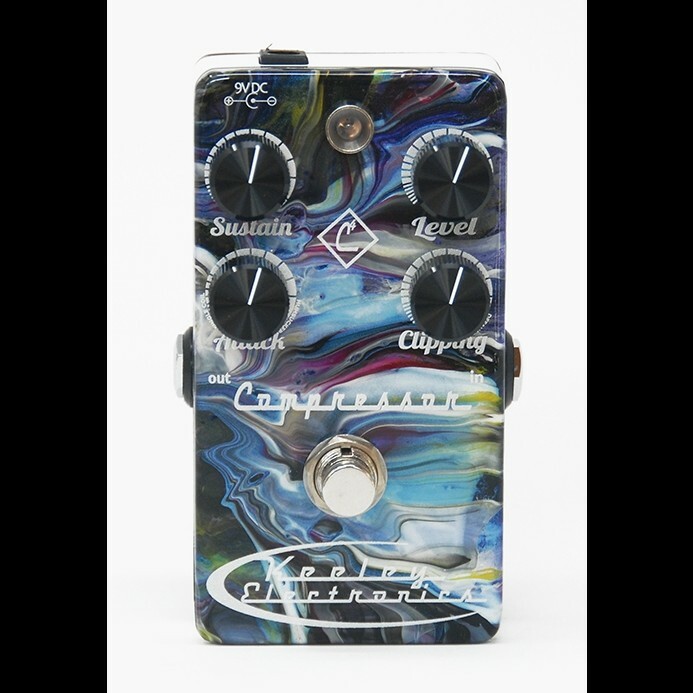 Unlike any other compressor, the Keeley Compressor was given the Editor’s Pick Award from Guitar Player’s Magazine and recently awarded Reader’s Choice for Stomp Box. It is a true audiophile and studio grade compressor with an exotic rack mount quality in a stompbox form.